Posted April 19, 2011 by William Martin & filed under Headlines. 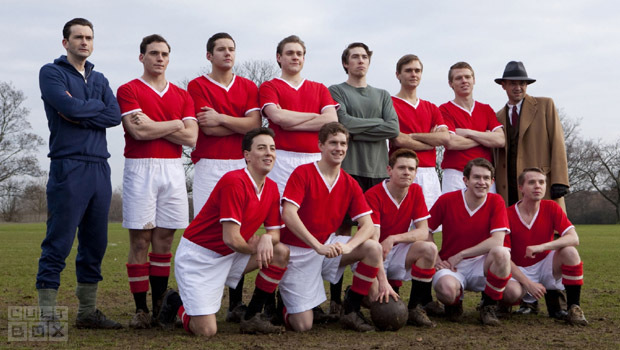 Starring David Tennant (Doctor Who), BBC Two’s United is based on the true story of Manchester United’s legendary “Busby Babes”, the youngest side ever to win the Football League, and the 1958 Munich Air Crash that claimed eight of their number. 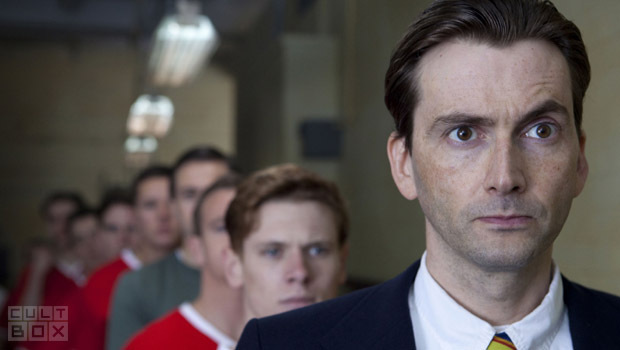 Tennant stars as coach Jimmy Murphy, alongside Jack O’Connell (Skins) as Bobby Charlton, Sam Claflin (Pirates Of The Caribbean) as star player Duncan Edwards and Dougray Scott (Mission: Impossible 2) as manager Matt Busby. Written by Chris Chibnall (Torchwood, Law & Order: UK) and directed by James Strong (Doctor Who), the one-off drama airs at 9pm on Easter Sunday 24th April 2011 on BBC Two.